As Ramadan continues in Turkey, so do protests that are quickly quelled by the Turkish Prime Minister whose wealth and power reach even into the formula for tasty bread. Nearly six weeks has passed since the first protests in Istanbul’s Gezi Park. Under the orders of Turkish Prime Minister Recep Tayyip Erdogan, Turkish police brutally quelled these protests with water canons and pepper spray. At least 5 people died, and thousands were injured. 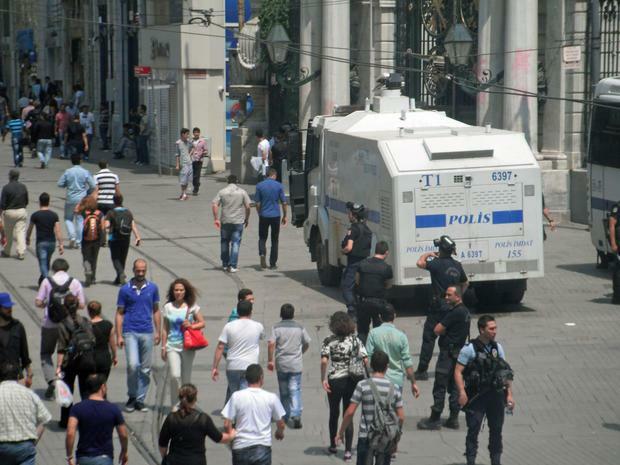 Protesters who had set up a tent city in Gezi Park were violently driven out, and nearby Taksim Square was blocked off by the police who regularly raided even tourists in the historic Taksim shopping district. 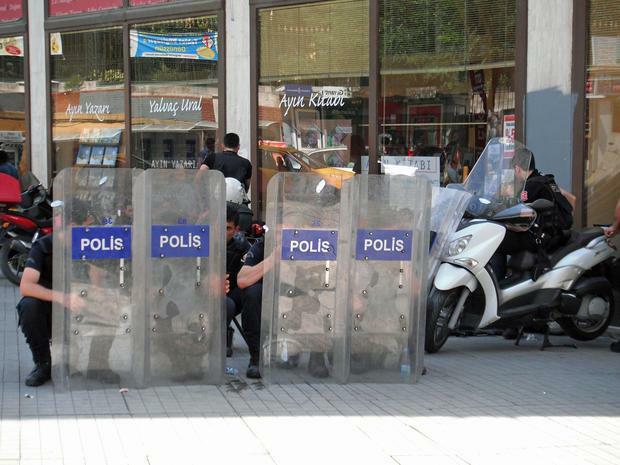 Protests, that spread throughout Turkey, were often violently opposed, and many protesters were arrested (including doctors and lawyers who helped protesters). A lone man began peacefully standing at Taksim Square when it reopened, and soon standing men and women appeared throughout Turkey in silent protest. 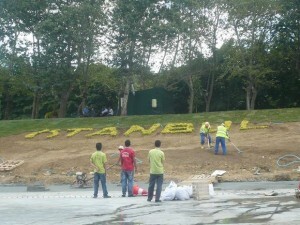 Gezi Park was given a face-lift of new grass, flowers, and even a few trees. When it reopened last Monday, protesters again began to voice their discontent with the Islamist Prime Minister’s heavy-handed rule. Police attack vehicles immediately moved in with water canons and pepper spray, and the crowd was again driven from the park. International journalists had moved on to cover the more dramatic recent events in Egypt where Islamist President Morsi was removed from office and placed under arrest, a move that the Turkish Prime Minister strongly condemned. Turks are now wondering if their Prime Minister is at all worried about his own position. He controls a vast and well-equipped police force and wisely curtailed the military’s power. The military has long been loyal to the ideals of Mustafa Kemal Ataturk, their former general and the first President of Turkey. Ataturk established a secular democracy in Turkey in 1923 and strove hard to keep religion from controlling the government. In fact, Erdogan was once arrested for his association with Islamist parties that were previously illegal under Ataturk’s ideals. Ironicall, just as Ataturk sought to free women from wearing the head scarf, Erdogan encourages them to wear it (as his wife, the First Lady, does, and as do most of the female members of his Islamist ruling Ak Party). Erdogan further alienated women by encouraging them to stay home to have 3 children as he seeks to outlaw abortion. What many people outside of Turkey do not know is how corrupt Erdogan’s government really is. He favors the Islamic members of the Ak Party and his own family members with good government jobs while excluding the 50% who did not vote for him (just as former Egyptian Islamist President Morsi did). Many of his own family members (such as his son) have become heads of large corporations and now enjoy both personal power and great wealth. Protesters have even labeled Erdogan as a “dictator,” something that Erdogan strongly denies. However, as Ramadan enters its first week of fasting, many people realize that Erdogan’s power reaches even into their daily bread. I was shocked at such a revelation. 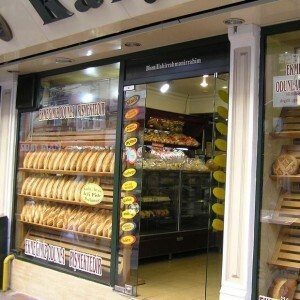 “Now I understand why one big bread company in Izmit displayed a ‘danger’ sign over its door. 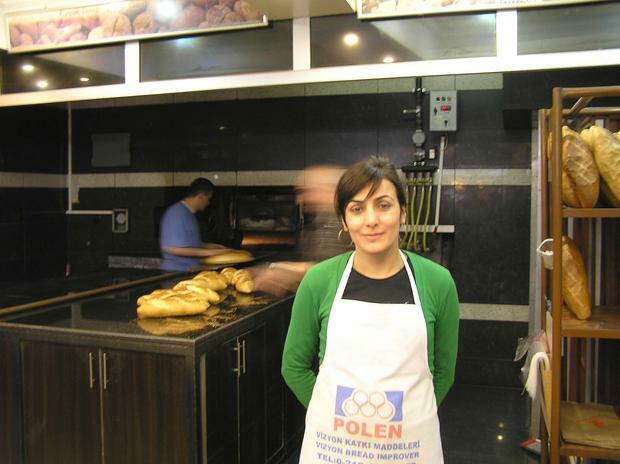 It’s part of Erdogan’s holdings and wants people to avoid the ‘inferior’ bread mixed by smaller companies,” I replied. One wonders how long the people of Turkey will submit to the Lord of the Bread. This entry was posted in Essays, News and tagged bread, Erdogan, Ramadan on 12 July 2013 .